The Nidec Dynamo BLDC Motor with Controller is a 12V DC brushless motor/controller combo. This article discusses how to connect it to, and control it with, the FRC Control System and links to some additional resources on the Dynamo and brushless technology. Want more specifics on the currents, torques, and other important details about the Nidec Dynamo BLDC Motor? The Specification Sheet should have what you are looking for. Want more detail on the pinout of the connectors, connector part numbers, or other info about the controller? Try the Controller Datasheet. The Dynamo BLDC Motor comes with a 2 pin harness with red and black wires for powering the device. Plug the connector into the receptacle on the back of the device (it's keyed, so it will only go one way). Connect the other end directly to one of the <30A breaker slots on the PDP, or use quick disconnects or other connectors to extend the wires to reach the PDP location on your robot. While the provided small gauge wires are exempt from the wire gauge rules as "Wires that are recommended by the device manufacturer", any extensions you connect may not be. The wires are sized appropriately for the current the device draws, however you may wish to acquire and use a smaller breaker (in the 6-10A range) in the PDP slot for this device to provide additional protection for the device and wiring. The connector with the blue wire should connect to a DIO connector on the roboRIO, with the blue wire corresponding to the (S)ignal pin (towards the inside of the roboRIO). The connector with the red wire should connect to a PWM connector on the roboRIO with the red wire corresponding to the (S)ignal pin (towards the inside of the roboRIO). The connector that plugs into the Dynamo BLDC Motor Controller is keyed, so no need to worry about plugging it in backwards. 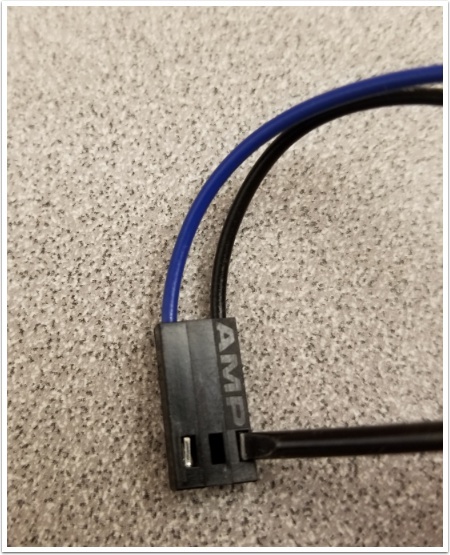 If you need to extend the signal connections of the Dynamo controller, regular PWM extension cables can be used (take care to note which color of the PWM cable connects to which color of the Dynamo cable). 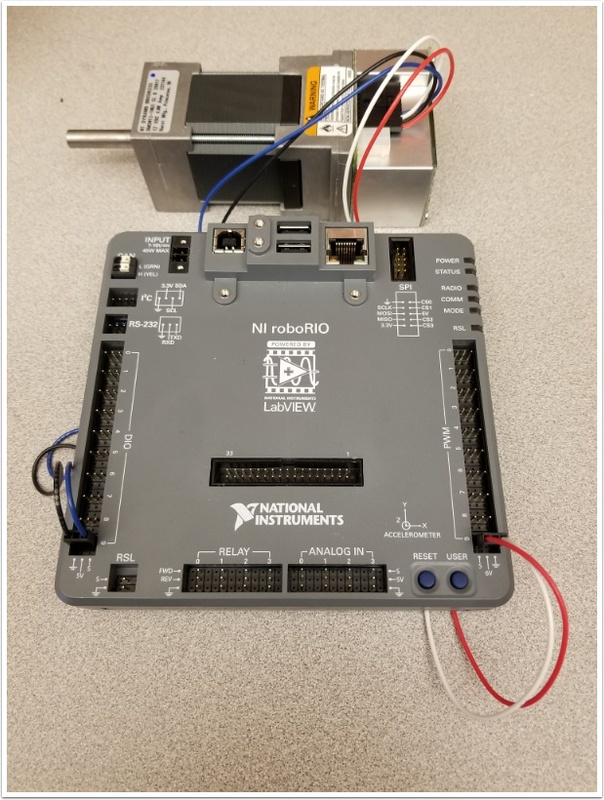 The library software in each of the three languages has dedicated code for the Dynamo BLDC Motor with Controller that will handle the coordination between the PWM connection (used for Enable) and the DIO connection (used to send a non-servo PWM to control speed and direction). In C++ and Java you will find this in the "NidecBrushless" class. In LabVIEW select "Nidec Brushless" from the dropdown of the MotorControlOpen VI (found in the Actuators->Motors palette). With the layout of the existing wiring harness, disconnecting the DIO signal will cause the device to run in full reverse whenever the robot is enabled. Note that disabling the robot will still properly disable the device. To mitigate the issue of partially uncontrolled operation if the DIO connector were to become disconnected, a minor modification to the wiring harness can be made. By swapping the black and white wires (so the connectors are red/black and blue/white) a disconnection of the DIO connector will instead disable the device. This swap can be made with a small flathead screwdriver or other sharp object as detailed below. Grasp the wire to remove firmly between your fingers and apply gentle pressure, pulling it away from the connector. Using a small flat screwdriver or other sharp object, gently depress the latch through the window in the connector until the pin slides free. Repeat these actions for the white wire from the other connector. Ensure that the wires are not tangled. Slide the pin fully into the connector until the latch engages. Gently attempt to pull the wire back out to ensure it has seated properly. The tachometer output, if wired (see note below), will be deactivated. If the device is moving due to momentum or external forces, these tach pulses will be missed. If you wish to disable the device when commanded neutral, a description of how to do so in LabVIEW and C++\Java is provided below. In C++ and Java, explicitly calling the stopMotor() method will physically disable the device by turning off the roboRIO PWM signal. The next time set() is called, the device will be re-enabled. Note that this is different than the behavior of the disable() method which requires an explicit enable() call before the device will be re-enabled. In LabVIEW, the Motor Disable VI can be used to disable the device. The next time the Set Output VI is called, the device will be automatically re-enabled. The snippet below shows an example of how you might use this to disable the device when the commanded speed is 0. To instead use a deadband, replace the = VI with an Absolute Value and Less Than VI. The False case of the case structure contains a Motor Set Output VI that uses the passed in orange wire to set the motor speed. Got it. Thank you, Phil!